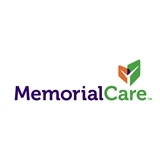 MemorialCare Medical Group Irvine (Irvine) - Book Appointment Online! Dr. E is an outstanding, professional who has changed our lives treating my son for epilepsy to a point of seizure free. He is a God send to our family. Dr Lin is positive and straightforward in her interaction with my son and answers all questions I have about his condition. Wonderful! So glad I found her! Very friendly staff and love the children's waiting room. Great service, always very efficient and thorough.